K.I.T.  Group was founded by CEO Willy Kausch as a Berlin-based Professional Conference Organizer with only a few employees. Since then, K.I.T. Group has grown impressively in size and is now a leading association, conference and event management company with more than 30 conferences and public events each year. Synergy & competence is our motto and we pride ourselves on building sustainable relationships and consistently delivering innovative, reliable and high-end solutions. The term SYNERGY describes the different divisions of K.I.T. Group cooperating advantageously for a final outcome, the conference. Our teamwork produces a better overall result than if each person were working toward the same goal individually. A successful conference is achieved with a combination of knowledge and experience from both the client and the organiser. Synergy also refers to the benefit that our clients can expect from our know-how and extensive networks in the field of medical conferences. Our COMPETENCE in the field of medical conferences is our competitive advantage. 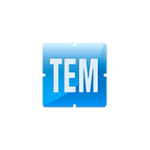 It is characterised by our professionalism, our know-how, expertise, and our an excellent relationship with our clients. As we move further into the 21st century our belief and passion for face-to-face events remains as strong as ever. We and our customers are adapting to the realities of a rapidly changing and sometimes uncertain world, so we are acutely aware of the need to remain agile, informed and connected. Emerging technologies, massive demographic shifts, regulation, governance and a new age of relative austerity mean that we must constantly evaluate our strategy to better serve the sector and to guarantee the value of your meetings. Looking forward to the next 30 years we are committed to building our global presence and relationships, to developing our human and technical resources, to maintaining client synergies, to building ever more specialized solutions and most importantly: being reliable and discreet partners in your success. With more than 120 pro-active and multi-disciplinary employees from more than 22 countries, K.I.T. Group has organised over 2,700 conferences across 5 continents for 50 to 28,000 participants in 30 years.  Our staff members come from various backgrounds, event or tourism management of course, but also business, political studies, law, languages or cultural management for instance. This is definitely an asset when we welcome delegates coming from all over the world. As a worldwide company, we wish to be able to give something back, and Corporate Social Responsibility helps us to administer our business processes in such a way as to have a more positive overall impact on society and the world at large. policy, has developed detailed guidelines and can bring its experience over many years into force. We support our clients – providing advice and expertise in addition to developing and implementing sustainability plans. Our Pathway to Sustainability programme offers clients support at three potential levels – from Green Advocate to Green Champion to Green Leader. Continual renewal of skills is the best way to ensure efficiency and high productivity. This is why the continuous development and engagement of the team is very important to K.I.T. Group. To ensure a strategic and structured development, the K.I.T.  Group Skill Data base is currently in development, a knowledge transfer and an internal communication task force (both formed from a variety of team members to be able to cover all perspectives from the different business areas) are in place and active. The Human Resources development plan covers knowledge of the trade of conference management, techniques and procedures as well as soft skills for the different roles/profiles. As an example,a holistic leadership programme covering all aspects of modern leadership has been launched within the entire corporate group in 2014 and is still ongoing. These activities motivate the individual team members to excel in their job and at the same time ensures SOP and a common ground and quality throughout the whole team. In order to further improve quality and consistency with an eye to safety and monetary savings, we at K.I.T. Group have instituted a Quality Management System consisting of various assurance methods.The implementation of task forces charged with the mission of finding new and innovative ways of operating, procurement for high quality with cost analysis in mind,and evaluation of statistics and reports have all proven beneficial. The continued improvement of trade show locations, the availability of infrastructure and as little bureaucracy as possible are their cause as much as ours. Our membership and active participation in and leadership of national and international organisations is part of our effort to further enhance the smooth operation of trade events.Voluntary submission to the evaluation of these organisations also guarantees our commitment to the highest standards of quality for our clients. The Medtech Europe Code of Ethical Business Practice regulates all aspects of member companies’ relationships with physicians and medical societies, throughout Europe and the Middle East and with particular emphasis on congresses, conferences and other educational events. After rigorous selection, K.I.T. Group GmbH is among the first organisations to earn the Medtech Ethical Charter. This is the official certification of those PCOs that demonstrate understanding and commitment to the new regulations. 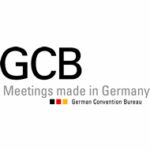 The not-for-profit German Convention Bureau (GCB) is the central body for all concerns and also the marketer for the convention industry in Germany.GCB coordinates between clients looking to hold conventions, conferences and incentives and the service industry of the German marketplace. Since 1973, all major businesses from all branches of the convention services industry have joined the GCB.The over 200 members include hotels, convention centres and cities, convention service agencies like K.I.T. Group and other convention service providers. Parent company to K.I.T. Group GmbHThrough an expansion scheme coupling ourselves with Messe Berlin, K.I.T. Group has 75 business offices representing 150 countries. Using this professional network we guarantee a knowledgeable local business-oriented contact for each of the areas in which we operate.This link assures that K.I.T. Group is a very solid and powerful partner making available to our clients the latest equipment and know-how, as well as extensive knowledge of the international conference market. Successful events are based on technical infrastructure which has been developed to perfection. The more targeted and detailed planning and organisation is in this sector, the easier it is to manage the event and ensure that individual trades work hand in glove. 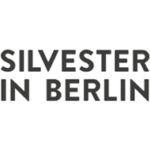 Silvester in Berlin GmbH has staged one of the largest New Years Eve parties in Berlin every year for the last ten years. With the collaboration of the K.I.T. Group, numerous national & international partners and vendors provide perfect logistics for this event, which attracts well over one million people every year at the location and a large part of the rest of the world through simulcasting. 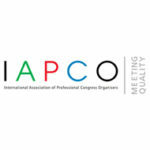 The International Association of Professional Congress Organizers (IAPCO), a non-profit organisation founded in 1968, represents professional organisers and managers of international and national congresses, conventions and special events. IAPCO is committed to raising standards of service among its members and other sectors of the meeting industry by means of continuing education and interaction with other professionals. IAPCO has members world wide, whose activities are monitored on an annual basis. As a result, IAPCO membership offers a unique quality assurance recognised by conference clients and suppliers all over the world. K.I.T. Group is proud to be an active participant in what makes IAPCO great. Among other tasks, we also report at general assemblies and act as the head of the working group leader for scientific posters. The International Congress and Convention Association was founded in 1963 and is headquartered in the Netherlands. The association of companies from the event and travel industry is the most prominent organisation of the international convention and meetings industry. Today, it is spanning the globe with member companies from more than 76 countries throughout the world and branch offices in Malaysia and the U.S. The explicit aim of the ICCA is to optimise the co-operation of member companies, to mutually benefit from insights and experiences and to create universal standards of quality. 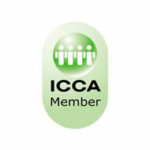 ICCA works for continuing improvement in the quality of the meetings industry.